Menacing may not seem like a serious crime, however a menacing charge should never be taken lightly. A conviction could mean costly fines and possible jail time, so don’t make the mistake of not taking a menacing charge seriously. Contact a Denver criminal defense lawyer familiar with state menacing laws as soon as possible after an arrest. Take a close look at the definition of menacing . The law states that the crime could be considered a felony if a deadly weapon or an item that the other person believes is a deadly weapon is used. This means that if you are standing on the street holding a toy gun in your hand, and the other person believes that the toy is real, you could be arrested and by the police and charged with a felony. So in Colorado, menacing can be either a misdemeanor or a felony. Either way, a key factor in menacing cases is the specific intent to cause fear in the victim. Any further intent to actually be violent towards the victim is unnecessary. If a prosecutor can establish the intent element of the crime, he or she can probably persuade a jury to convict a defendant accused of menacing. Anyone charged with (or suspected of) menacing in the greater Denver area should speak immediately to an experienced Denver menacing attorney. You should also immediately cut off contact with the alleged victim. If the victim feels you are a threat, he or she may ask for restraining orders against you to provide protection against potential harm. To avoid this, criminal defense lawyers advise you to make sure there is no communication between yourself and the victim. Sometimes attorneys are able to debunk accusations of menacing. But a successful defense against a menacing charge requires the skills of an experienced Denver menacing attorney. 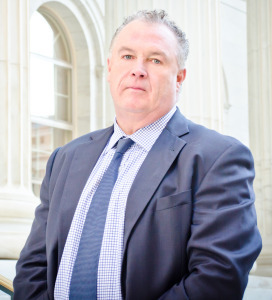 Denver menacing attorney Dan Murphy has successfully represented scores of clients in a number of menacing and similar felony and misdemeanor cases. With 19 years of criminal defense experience in the Denver area, Dan Murphy will use his seasoned legal skills to defend you aggressively against a charge of menacing. Dan is a former public defender with an extensive knowledge about how the Denver-area court system works. He will work with you to develop the defense strategy most likely to be successful in your menacing case. Menacing charges that have been classified as class-3 misdemeanors are not as severe as those charged as felonies. If you are facing a class-3 misdemeanor menacing charge, you may face a possible six month jail sentence, and if you are facing a class-5 felony menacing charge, you may face up to three years in prison. However, sentences may vary greatly depending on the details of your case and your prior criminal record, among other factors. If you do not have a prior record, you may be offered probation instead of imprisonment. However, if this is your second charge related to menacing, you may face more serious penalties. Besides the possible prison sentences and fines, you may face other consequences down the road. Employers may be hesitant or unwilling to hire someone with a menacing conviction on their record. Universities may not accept you out of fear that you will behave inappropriately or aggressively towards others on campus. The long-term consequences of menacing are nothing to take lightly, so it’s important that you fight back against your charges to avoid the future repercussions. To attempt to avoid these penalties, it’s essential to contact Denver drug crimes lawyer, Dan Murphy, as soon as possible after you’ve been charged with menacing. 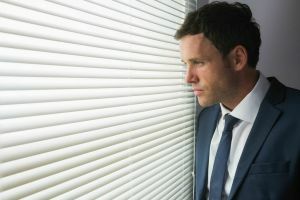 The quicker that Dan Murphy can begin investigating your case, the better the outcome may be. No injury needs to occur in order for someone to accuse another person of menacing behavior. Usually, the presence of witnesses, the victim’s testimony and the presence of a weapon if applicable is enough to convict the accused of menacing behavior. That’s why it’s important for defendants to hire an attorney with experience in menacing cases. Although it is considered easy to convict someone against menacing, that doesn’t mean that it’s an automatic conviction. There are a number of defenses that you may be able to use depending on the circumstances surrounding your case. If there are no witnesses besides the victim, the defense could argue that the victim is not telling the truth. A skilled attorney can look for holes in the victim’s story, or try to prove that something that he or she said is not true. The attorney could also try to prove that the victim misinterpreted the defendant’s actions, and that there was no intent to cause fear. Speak with an experienced Denver menacing attorney to determine what the best defense strategy is for your case. Denver menacing attorney, Dan Murphy offers a strong, aggressive defense for clients accused of menacing and related charges. He will take the time to find the facts in your case and deliver an effective defense while genuinely safeguarding your legal rights and working toward the best possible end result. If you or a member of your family faces a menacing charge, arrange right now to talk with criminal defense attorney Dan Murphy for legal advice. It may be possible to have the charge reduced or even dismissed entirely. Get the help you need to deal with the menacing charge and move forward with your life. Please set up a free consultation with, Denver drug crimes lawyer, Dan Murphy at his Denver County office now by filling out the form on this website or by calling the office at 303-996-8998. Dan Murphy’s comfortable, client-friendly law office is conveniently located on East 7th Avenue downtown, just two blocks east of Broadway. There is always free parking available, and payment plans are always available for legal services.